Hong Kong-based itel Mobile has launched a new budget smartphone S21 in India. This is a selfie-focused smartphone and comes with dual (5MP + 2MP) front cameras, one for normal photos and other with a field view of 120-degrees for group selfies. 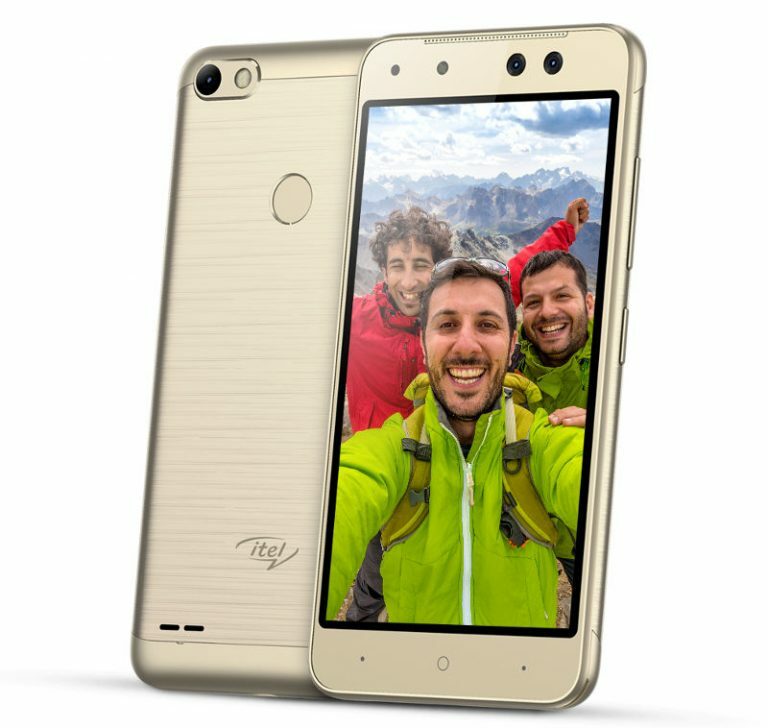 itel S21 has been priced at Rs. 5,999.
itel S21 is India’s first and only smartphone under Rs 6,000 to feature a dual front camera setup. Apart from the dual front camera setup, other major highlights include a 5 inch display, Android 7.0 Nougat, 8MP rear camera and a fingerprint sensor. Interestingly, it also supports dual app feature for apps like Facebook, Twitter, Instagram, and WhatsApp. The latest phone from itel features a 5 inch FWVGA display with 854 x 480 pixels resolution. The dual SIM phone runs on Android 7.0 Nougat. It is powered by a 1.1 GHz Quad Core MediaTek processor paired with Mali-T860 MP1 GPU. Memory wise it offers 1GB RAM and 16GB internal memory. The internal storage is expandable up to 32GB with MicroSD. Camera wise, it sports an 8MP rear camera with dual LED Flash. At the front, as mentioned earlier, it features a dual camera setup with 2MP + 5MP sensors along with LED Flash. The secondary camera is for group selfies with 120-degree field view. Users can easily toggle between selfie and group selfie options. Connectivity options on the phone include 4G VoLTE, WiFi 802.11 b/g/n, Bluetooth 4.1, and GPS. Powering the phone is a 2700mAh battery. The phone also features a fingerprint sensor at the back. The itel S21 and is priced at Rs. 5,999. The phone comes in Moonlight Silver, Champagne Gold and Elegant Black colors. It will be available from various offline retailers across India.